Welcome to Tribune Mailbag, a series in which athletes answer questions directly sent from Players' Tribune readers. Follow us on Twitter @PlayersTribune to find out who'll be the next athlete to step up and take your questions. "The Red Mamba" answers readers' questions about his retirement plans, his preference for flannel, his sandwich expertise and more. This week, as part of our Tuesdays with Richard on Thursdays series, Richard Sherman takes on our (video) Tribune Mailbag. We asked Cavs forward Kevin Love to answer your questions about his dream UCLA starting five, the Beach Boys, his favorite Game of Thrones character and more. This week, Richard Sherman takes on our Tribune Mailbag. In this edition of Tribune Mailbag, Cardinals All-Pro cornerback Patrick Peterson answers your questions about Bruce Arians, Colin Kaepernick and being ranked 18th on the NFL Top 100 list. For long term sustainable success, what's more important than the actual decision itself is the process by which you determine it. This is The Tribune Mailbag, a series in which athletes answer questions directly sent from our readers. Next up, we feature WNBA MVP and Vince Vaughn superfan, Elena Delle Donne. Take it away, Elena. This is The Tribune Mailbag, a series in which athletes answer questions directly sent from our readers. 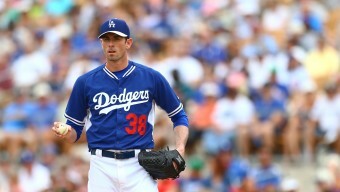 Next up, we’re excited to welcome Brandon McCarthy, a right-handed pitcher with rare control and an even rarer Twitter presence. Next up for The Tribune Mailbag, we’re excited to have someone who, without argument, is one of the most beloved players in modern NBA history. 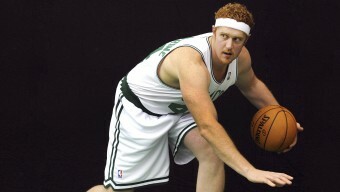 Take it away, Brian Scalabrine. This is The Tribune Mailbag. Next up, we feature a True American Hero and 2015 World Cup champion, Megan Rapinoe. Take it away, Megan. This is The Tribune Mailbag. 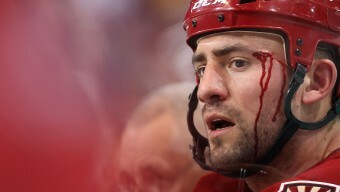 Next up, we feature an athlete that most hockey fans (and those on Twitter) recognize as none other than "BizNasty," Paul Bissonnette. Introducing Tribune Mailbag, a new series featuring athletes and fans in conversation. 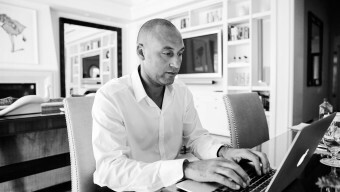 Derek Jeter kicks off our first edition.